There's no room for haters in Serena Williams' game. 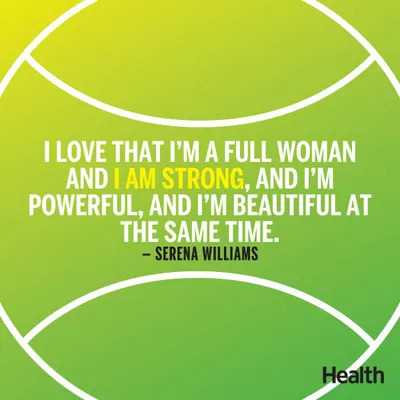 Is there a better athlete alive than Serena Williams? The 33-year-old swiftly took down every one of her opponents this year to win Wimbledon, the French Open, and the Australian Open. And certainly thanks to her, tickets to the U.S. Open women’s final sold out before the men’s for the first time ever, as she attempts to become the first woman to win a single-season Grand Slam since 1988. Yet somehow, there are people out there focusing on Williams’ appearance instead of her killer skills on the court. But, as she explained on Good Morning America on Monday, she doesn’t let those comments get to her. “And I love how I look. I love that I’m a full woman, and I’m strong and I’m powerful and I’m beautiful at the same time, and there’s nothing wrong with that,” she added. Williams, meanwhile, doesn’t bother giving the haters an ounce of her time.